Tuesdays are my son’s library day at school. This is when they should return last Tuesday’s borrowed book and get a new one. I usually urge him to return in advance the books he gets to finish before the due date but he opts to do it with is classmates. I was surprised:-)… I planned on introducing the book series to him… but not yet. It didn’t occur to me that he was ready for it. He discovered the book with zero influence from me! Yahoo! And boy! He really was ready for it. He was hooked on his first Diary of a Wimpy Kid book. He repeatedly kept telling me, “Mommy, I really like this book!“. By the time he was finally convinced to stop reading, it was 10:00 in the evening and way beyond his bedtime. I checked his bookmark and he stopped on p. 122. 122 pages in one evening for a first-grader? Oo nga e… Kung nakialam ako, sigurado Book 1 muna hahaha. Sabi ng teacher nya, nag eexplore daw sya ng iba’t ibang style of writing sa mga compositions nya kaya nakakaaliw. These days I notice his choice of words are poetic:-). I love that book. 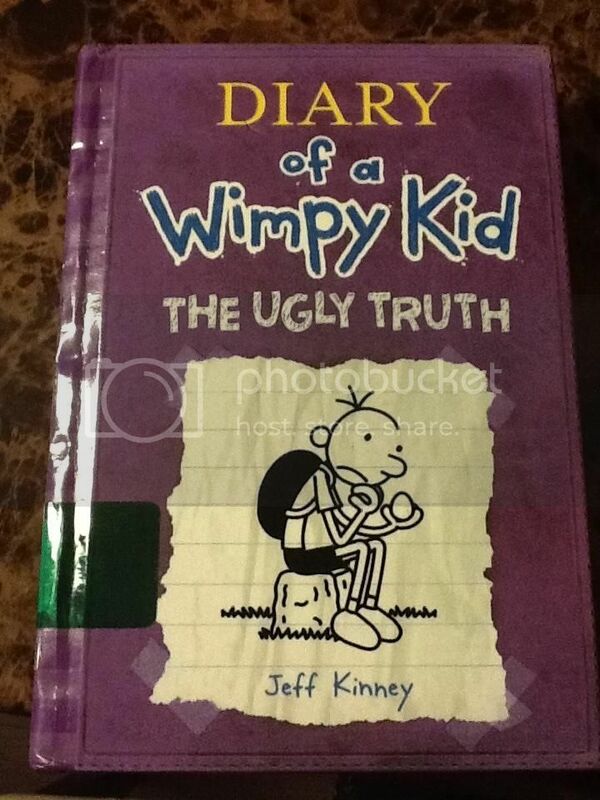 I think Ugly Truth is the third installment already. That would be good if he starts reading from Book 1.. hehe.. I know he would love this book, this is his style of writing, novel in cartoons.